School starts in about a month. Resistance is futile! I have a terrible time saying goodbye to napping and reading by the pool, but I always look forward to the start of the year. Shopping for school supplies and meeting your kiddos at back to school night–Love it! It is just around the corner…and so are those new personal financial literacy standards. Now, if you are like me, the first thing that came to mind is, “How will I fit THAT in?” Followed by, “And will that be on the STAAR test?” One of the new standards has 5th graders defining 4 kinds of taxes (income, payroll, sales, and property) and that sounds like a great way to integrate some social studies! So, here are a few ideas and a freebie! 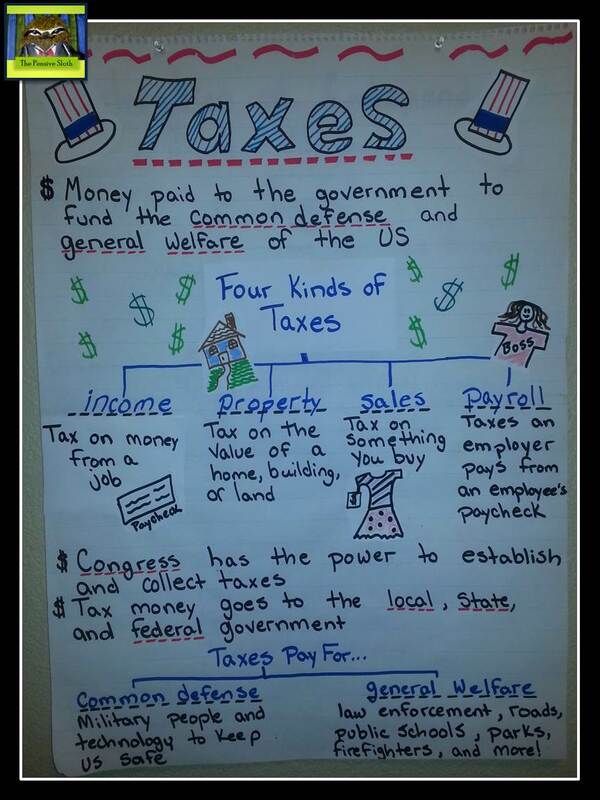 Anchor chart to help students learn what the Constitution says about taxes in the US and about 4 kinds of taxes (income, payroll, sales, property). 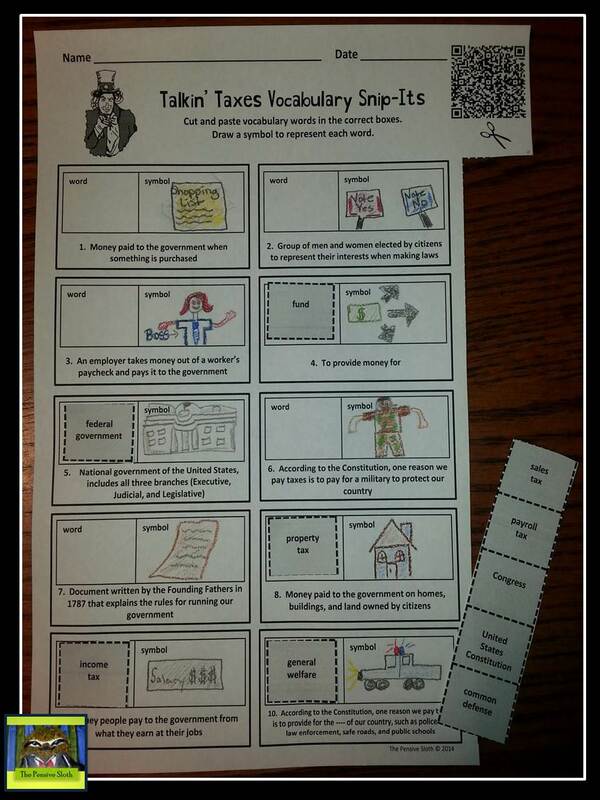 This addresses the NEW math TEKS 5.10A for personal financial literacy…and a little bit of social studies! 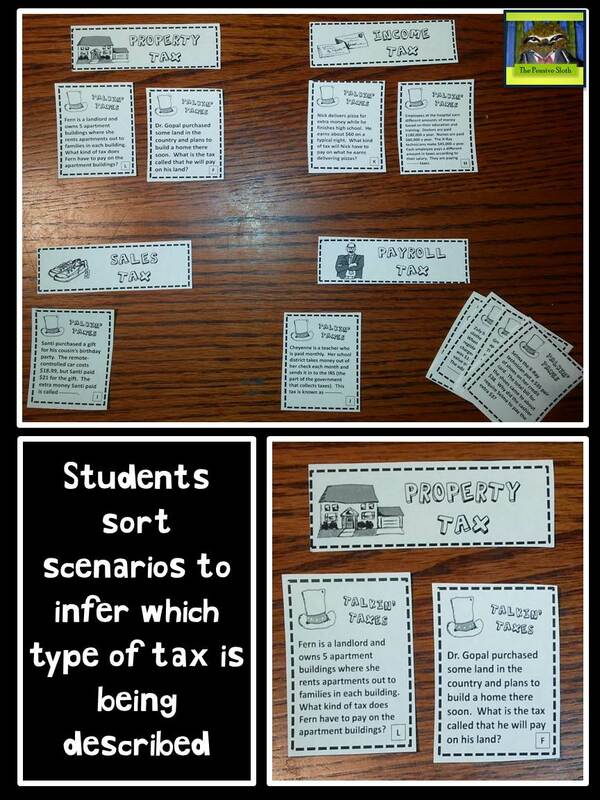 Math/Literacy/Social Studies station where students sort scenarios based on the tax being described–includes 16 scenarios to be sorted into 4 tax categories. Let your students be accountants and do taxes for two fictional characters based on their financial profiles! See below for a link to this page. Enjoy those last few weeks of summer! 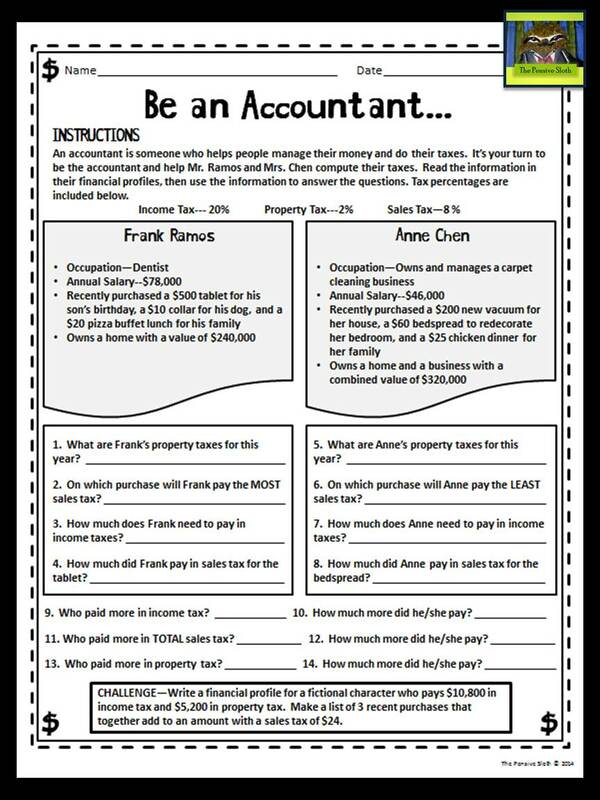 Oh, and here’s a link to the free “Be an Accountant” activity!